I couldn't write this post without featuring one RT brush (okay, three) as they're just so damn amazing and definitely my favourite brushes. When I first bought the Powder brush my first thought was 'oh my, its huge'. Seriously, this bad boy is almost the same size as my head. Okay, not quite but for a makeup brush, its pretty huge! I first thought this would pose a problem as it would be too bulky for my face but its actually perfect for setting my foundation as it gives my skin a light dusting of powder in one quick sweep. I also like this for applying bronzer if I want to pop it all over my face to get that glowy summer tan look. 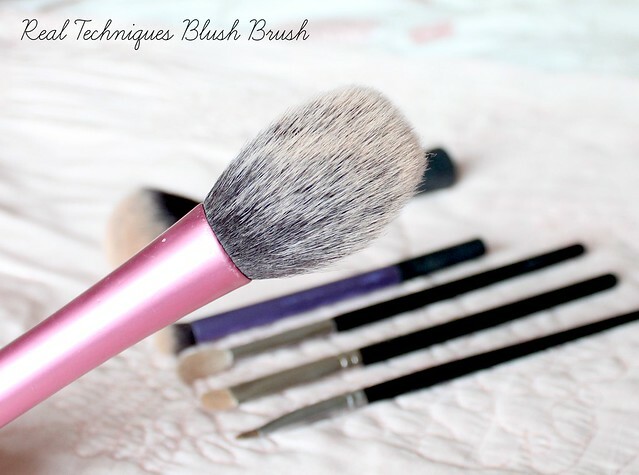 Another of the RT's face brushes and this time its the blush brush (what a tounge twister) which I think could be my absolute favourite brush. I mean its Pink so that's already a winner but aside from the pretty appearance, this brush is perfect for applying bronzer with. I use this when I want to add my beloved NARS Laguna into the contours of my cheeks and it works perfectly - so soft and easy to blend with. Its quite a large brush so definitely not one for precise contouring but for an everyday wash of bronzer or blush, its perfect. Another Real Techniques brush, what a surprise. The base shadow brush is definitely my favourite from the eye starter kit and surprisingly, I don't even use it on my eyes. I use this brush to blend concealer under my eyes or for really detailed contouring as its a great size and quite dense yet still great for blending. I can't comment on how it would work on the eyes as I have other favourites to use with eyeshadow (more about those below) but in terms of concealer blending, its bloomin great! The MAC 239 has been one of my favourite makeup brushes, if not my all time favourite, since the first day I bought it. This flat little eye brush packs eyeshadow onto my eyelids like nothing else. Its brush fibres are firm and dense whilst still being soft and gentle on the eyelid. If I'm applying eyeshadow, particuarly for a night out, this is the brush I'll always reach for as like I said, it packs colour onto the lid exceptionally well and I find I can create really intense colour on my eye with complete ease. 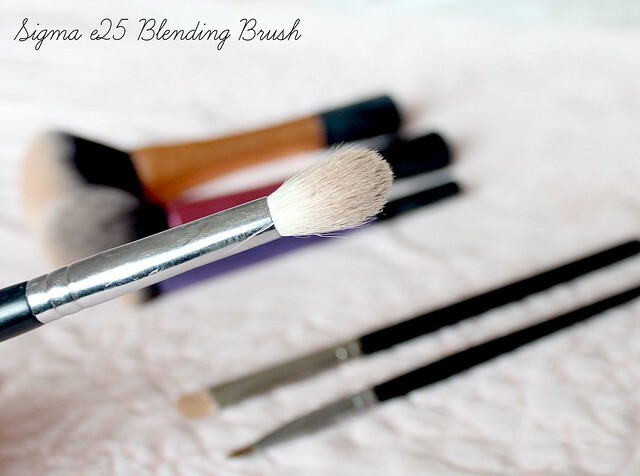 As a dupe for the famous MAC 217 blending brush, the Sigma E25 Blending Brush is the perfect companion for my MAC 239 and together they're all I need for flawless eyeshadow. 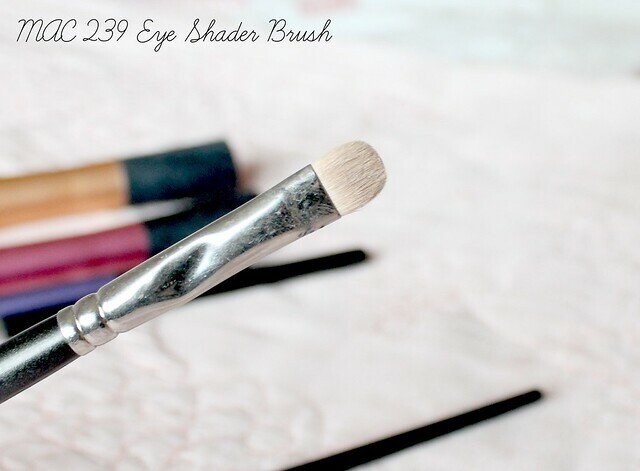 I do have other detail eye brushes for applying shadow on the inner corner or lower lash line but in terms of adding a lid and a crease colour - the 239 and E25 are all I need. 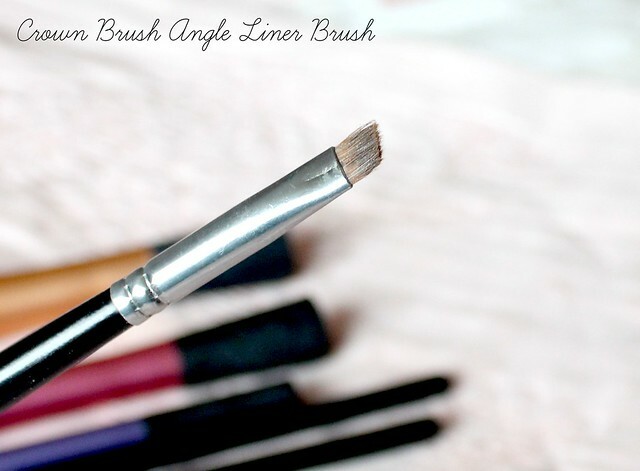 If you hadn't already guessed by the name, I use this brush to add shadow to my crease and it blends it exceptionally well. Its light and fluffy but still dense enough for blending - fabulous! I have to be honest when I say I wasn't blown away by the face brushes I tried from Crown Brush but their Angle Liner brush is an absolute gem and I use it every single day alongside my HD Brows palette to fill in my brows. The angled edge creates nice sharp lines and the brush fibres/hairs (what on earth are they called? someone please enlighten me) are fairly flexible and soft so after creating the shape of my brows, its also great for filling in any sparse areas too. For only £2.29, I'd highly recommend it. 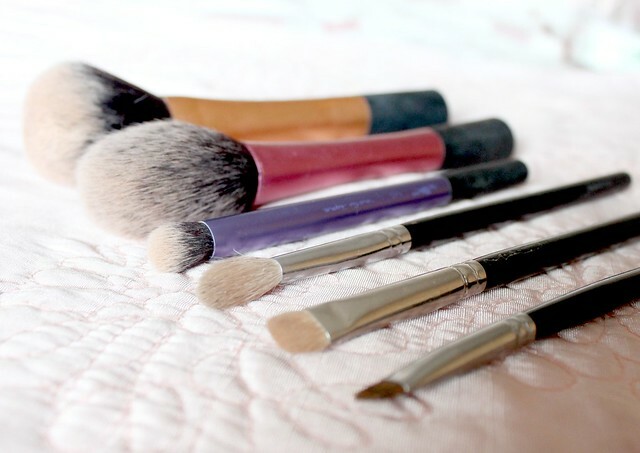 Have you tried any of these makeup brushes? 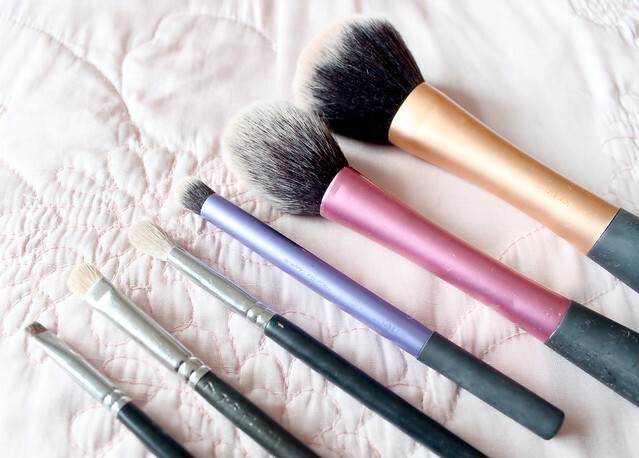 Which were your favourite makeup brushes to use last year? I'd love to try some new ones from new brands! Love this kayleigh, real techniques are really the best brushes out there, they are so affordable and are such good quality, the price and quality and the easy application means the brushes are an all round winner. I am 17 so the brushes are in my price range, I hope to try at least one mac brush in the future just to own one and see what they are like and if they are worth the price. 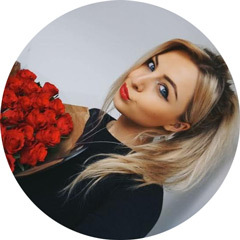 I cant believe how far you have come kayleigh you should be so proud of yourself, the content you produce and the followers that you have gained through the work you have put in one your blog. With every post the pictures are perfection and your writing just flows , I love in particular your reviews. I have been reading your blog for about a year now and enjoy every single post I read. I want to wish you and your readers a happy new year and all the success for your blog in the new year to come. I agree with all of these! I also love the Real Techniques buffing brush! X.
I definitely agree with your choices barr Crown Brush. I haven't tried any of their stuff yet. Sigma are the main brushes in my collection. real techniques brushes are amazing, must try the others mentioned, especially the mac! Have the first two Real Technique brushes (powder and blush) and loving them. However, I have to update the rest of my brushes soon, so your blog post gave me quite some ideas! I love Real Technique Brushes, they work perfectly for everything! agree with you 1000% about the real techniques brushes, love them! Ok so I need all of these, I can't believe I haven't got the RT powder or blush brush!! I want them!!! I received the Real Techniques core collection for Christmas, and have NO idea where to start (I'm such a moron when it comes to makeup!) but it's great to see you rate them so highly :) Useful post, thank you! Real Techniques brushes are incredible. I don't know what I'd do without them now! 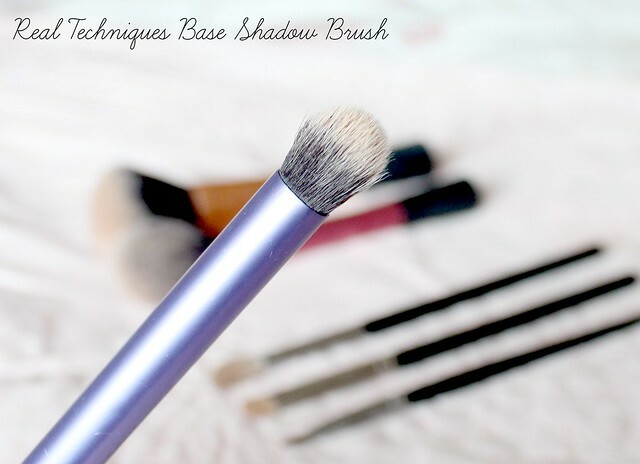 I love all three of the Real Technique brushes, especially the base shadow brush. I wish they would sell them individually because I would buy multiples of it! I'm definitely going to have to give the MAC one a try! I recently got my first RT brush, the powder one intact and loved it so was trying to decide which to get next and the two you mentioned were what I was thinking, so glad to read good things and will def get them ones. I love my MAC 239 too, one of my overall favourite brushes. this is a good post actually. i love the real techniques brushes too! I'm on the hunt for a good blending brush for my eyes so I may have to try that Sigma brush! 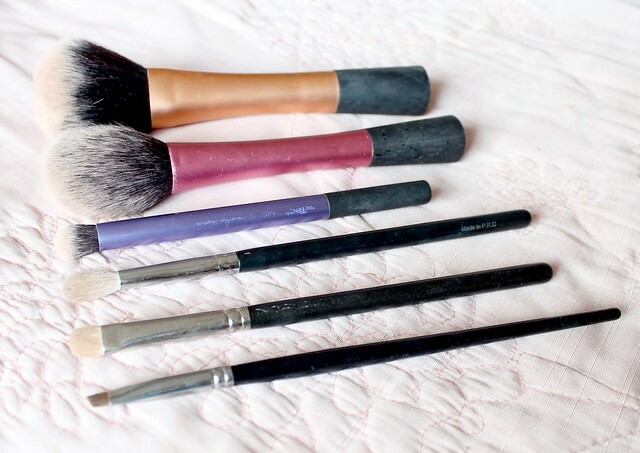 I have just done a post on my favorite brushes from 2013 too! I have the RT Blush Brush; however, I don't quite like it because it gets the blush all over my face, and I have to use a ton of product to see something. The Sigma Blending Brush sounds like a good one though! I really love RT brushes too! I've also gotten a lot of use out of my RT Powder brush! And I just bought my Mac 239 and 217 this year and I have to say, I'm really glad I spent the money on them. I've also heard the Sephora pro range has some really great products. My RT brushes are pretty much all I ever use - their stippling brush is also a favourite for foundation and cream blusher, it is amazing, followed by the buffing brush for powder over the top - the base it gives you is just flawless! I love RT's contour brush, with the right contour kit it highlights the cheekbones amazingly! Real Techniques brushes are my favourite brushes, they are so so soft and they have a brush that is perfect for each job! Weirdly enough H&M also do some good makeup brushes that are super soft too and a fraction of the price so I would recommend them. I recently purchased a double ended brush from H&M that I've found really handy especially whilst travelling. They look like really lovely brushes! i completely agree about the three real techniques brushes, i adore all of them! I love real techniques they're one of my favourite brush brands! I just ordered my first Real Techniques brushes online the other day! I'm so excited to receive them this post has just made me more excited! I've been using mainly Ecotools and Thin Lizzy brushes up until this point so Im excited to see what all the hype is about! 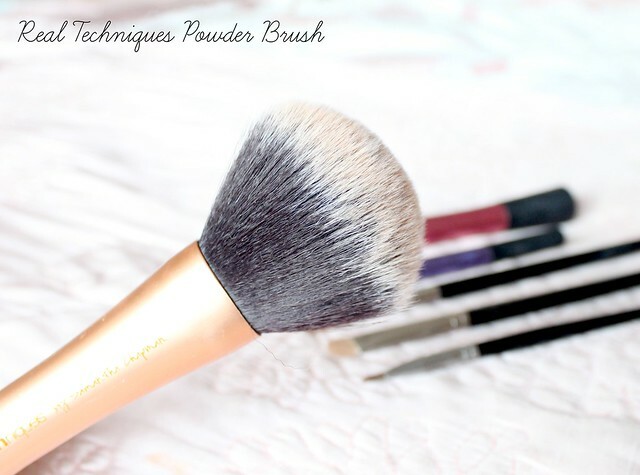 I was going to get a new powder brush tomorrow and I originally was going to buy on for £16 but I may opt to try the Real Techniques Powder Brush since you have recommended it. Thank you. I love Real Techniques brushes and I never attempt to do eyeshadow without my 217! I'm keen to try some Bdellium brushes next as I've heard great things about them. The RT Base Shadow is my favourite for applying eyeshadow! I love all their brushes. Definitely going to have to try a MAC brush soon! Real Techniques are my absolute favourites; I have the base shadow brush too and I adore it! I think 2013 was definitely the year of real techniques! I have just ordered my first RT brush and reading your post has made me more excited for it to come! Wow! Such a lovely and very nice Real Techniques brushes. Thanks for sharing! Such a very interesting and informative blog.